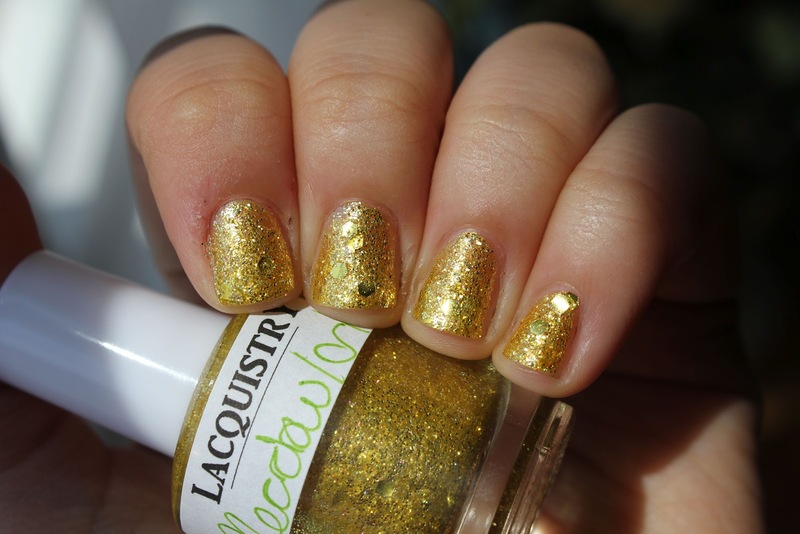 So today I want to show you a custom polish from one of the nicest indie-polish makers out there, Lacquistry. 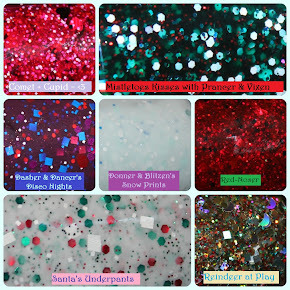 I ordered the most amazingggg customs from her, and I can't wait to show you all! The first one I have is Meadowlark. I told Jenna I wanted a yellow, glittery, summery, fun polish and she definitely delivered. What does everyone think? Yellow and glitter isn't the most normal combination, but I just had to haha. Gorgeous! I really need to order a custom from her! Okay, so I totally agree with your sister about the TV show. That post was filled to the max with drama. 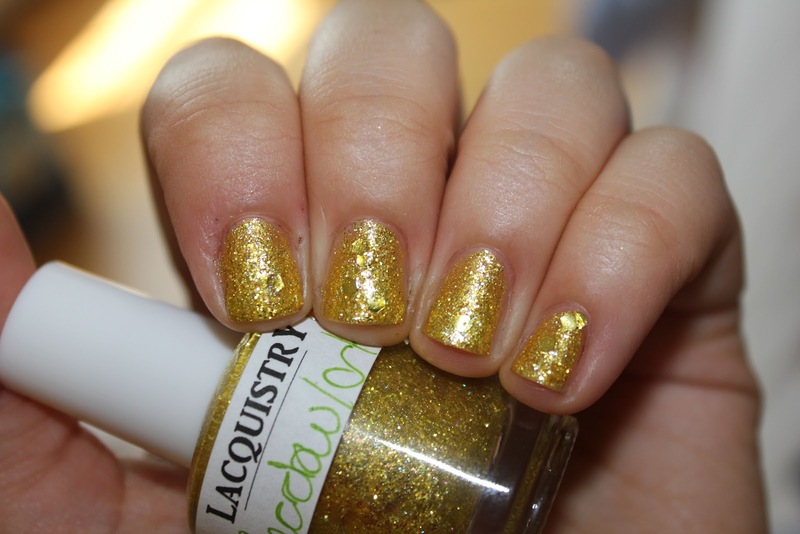 Anyways, gorgeous polish! I love how it glows. 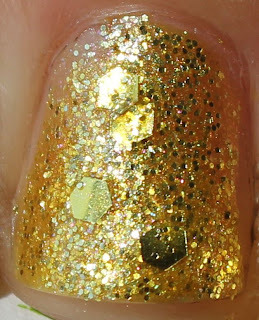 Gorgeous polish and that's some impressive opacity too! It's gorgeous! I can't wait to see what else she sent you! So very gorgeous!! 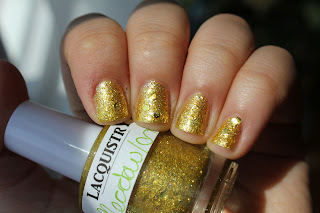 Love all that glitter! Oh wow that's such a gorgeous polish!